In this passage Jesus is the vine…the true vine…the source of growth and fruit-bearing – in a vineyard tended by the Father. God, the Father, is the one who tends the vineyard and ensures its quality. 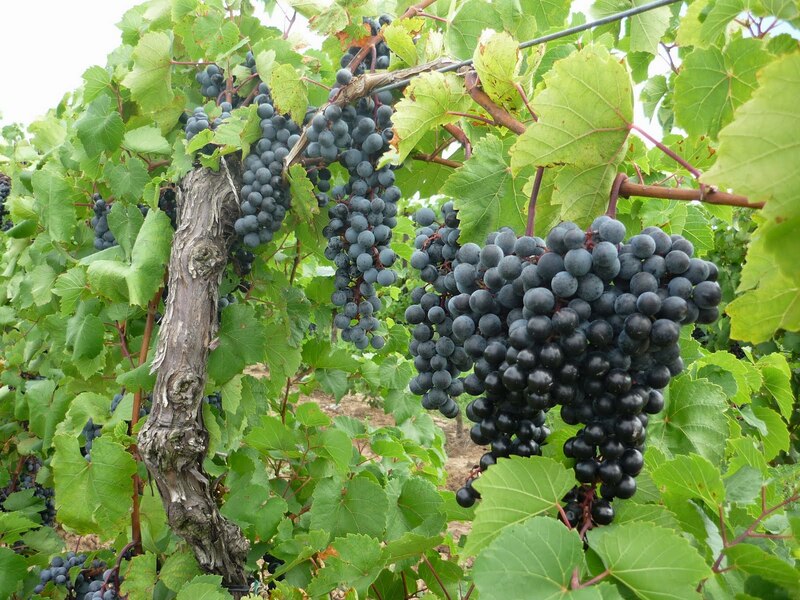 But…while the vine is the source for good fruit…there is an important link between the vine and its fruit. The branches are the focus of this passage…those who follow Jesus. You are the branches – the “you” is plural and identifies the church as the branches. Those who follow Jesus are not the fruit or the end product…those who follow Jesus are the conduit for the vine’s nourishment. The quality of the fruit depends on the branches’ ability to remain connected to the vine…the important relationship between Jesus and his followers. When we are connected to each other through our faith in Jesus Christ, it means that we are strong and can get things done. Our faith gets nourishment and strength from both Christ and our fellow believers. As our faith strengthens, it bears fruit in the form of bringing benefit to ourselves and to the lives of others while doing God’s work in the world. Ask yourself how well you are doing in your relationship with Christ…how goes the pruning necessary for growth. But, equally important as this passage brings forward, ask yourself how you are growing in the overall strength of the vine…how are you growing with others to ensure the connectedness of the branches to the vine. Imagine the wonderful fruit possible of the connected branches…the church in our community and in our world. We are to make sure that we do not become so well adjusted to the world that we lose our distinctiveness of being a follower of Jesus. The Greek word “to be conformed” carries the idea of being stamped or pressed into the image of the world. Being “transformed” is the Greek word metaphoreo, from which we get the word metamorphosis; the caterpillar changing, being transformed into the butterfly. 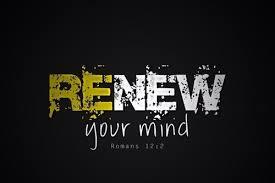 As you begin this new week may the mind of Christ dwell richly within you. In the last blog I wrote I noted the “WOW” factor of the scriptures pointing out that we, as believers, are working together with Him, YHWH. A gigantic honor to realize we are on the same team with the Creator of the universe, so stated in II Cor. 6.1. As I pondered this thought I realized there can be no other way, for as John 15.5 says, ” He is the vine we are the branches,” there really is no other way. Only God can produce eternal results, we are not adequate to produce anything of spiritual value. As Paul continues to write in his letter known as II Corinthians he describes his life in terms of afflictions and honors, as a paradox of responses from the very ones he is ministering to. Which, I suppose, is to be expected, for as humans we have free will and not everyone is going to believe the message of salvation. But Paul describes such passion, such zeal in his ministry that it is truly contagious. Imagine being so consumed by the Spirit of God that you would endure beatings, prison, rejection, hard laboring, distress, etc. chapter 11 starting with verse 22 we see a vivid description of his endurances. Honestly what any of face today pales by comparison to what this apostle faced, but it does make me wonder what kind of zeal I really have for God. “Working together with God, we also urge you not to receive the grace of God in vain;” I see a passion so deeply filled by the love of Christ there is no limit to the desire of his heart for these people to be successful in their walk with Christ. To be fully filled with the Holy Spirit, to be zealous for the things of God, to be consumed with love, and a have servants heart. Some writers are deep thinkers, but I have always considered myself simple-minded. I struggled with a topic today until I came to the word “gratitude”. Without gratitude to God in our life we live a life turned into self. From Psalm 16 we read: God keeps us safe in His refuge; with him at my right hand, I will not be shaken; God fills me with joy and eternal pleasures. In other words, live as if Christ is among us, because He is. Do what is right when we think no one is looking, because Christ is always present. If we live with this reality, we’ve passed the test of faith. Fearing the wrath of God once we’ve failed is not living as we ought. Doing what is right because it is right, because we trust Jesus and His way for our lives, this is the real test of faith. So do what is right, knowing that we share Christ’s love in the world around us when we do. This Ezekiel passage is worth a peek. The date of it’s writing is estimated to be the 6th century BC. Egypt, since the time of Joseph (Genesis 37:28-36), has occupied an interesting place in Israel’s, and Judah’s in particular, history. Ironically , it was the enslavement of Israel (Exodus 1) by Egypt that gave birth to Israel. The geographical position of Israel, between Egypt to it’s south and all of the more powerful nations to it’s north and east, has figured prominently in world history up to the present hour. One must conclude that their crossroads placement on the world’s stage has not been accidental . The prophet condemns the splendor, grandeur, power, and ignorance of Egypt not in themselves but for the harmful effects they might have on Judah. It must have been obvious to Ezekiel, at the time of his writing, that Babylon was going to capture Judah, given it’s weakened condition, on their to doing battle with Egypt. Ironically, again, it was the capture of Judah by the Babylonians that saved them from enslavement, once again, by the Egyptians leading to their eventual redemption in Babylon by the Persian King Cyrus (Ezra 1). History is certainly filled with twists and turns, is it not? There are two things that can be said about this passage that I can think of today. First and foremost, this passage is very straightforward in its meaning. Second, and more importantly, the words of this passage explain quite well why it is that we do things like show up to worship on Sundays and why we work so hard to serve our God. We who at one time in history would not have had access to God as Gentiles, non-Jews, now have access to the great glory of the kingdom of God through Jesus! I am reminded of Matthew 27:51 when Jesus “gave up his spirit, and the curtain of the temple was torn in two from top to bottom.” Said curtain separate the regular citizens from the holiest place on Earth, where God dwelled in the temple and no one was allowed in except for the high priest once per year. But the curtain was torn in two at the moment that Jesus died, giving all of us access to God. We can all be forever grateful that God sent his only son to dwell with us and break down the barriers that once would have separated us from God and now made it possible that we can all have eternal life in heaven. When you open your Bibles at home and begin your worship or you come into worship on Sunday morning, what is it that you expect? This psalm celebrates and interprets the reign of God in the congregation’s worship setting…it celebrates the kingship of YHWH. 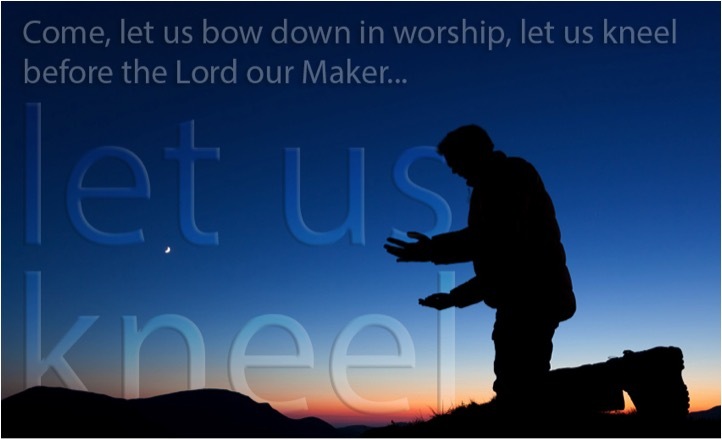 It opens with a call to praise – a call to praise “For the Lord is the great God, the great King above all gods.” And then there is a second call to praise – the congregation is now called to “come and bow down, to kneel before the creator”…the congregation belongs to the Creator of the universe. God created his people and leads them and provides for them and protects them. God is “our Maker” and “our God.” God’s gracious acts of creation and of calling out the community lead to the challenge for a response of praise and of lived faith. So, this morning or any day…including Sunday…”Come, let us bow down in worship…today, if only you would hear his voice”…and let us then go into the world, with an attitude of worship that guides our hearts and guides our actions. 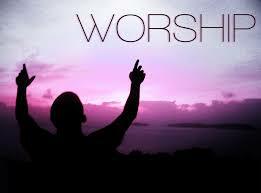 We can offer ourselves in service to God and others and through that self-giving please and worship God. In verses 6-8 Paul reminds us that we are gifted and have those gifts to offer in our service and worship of God. Now Paul doesn’t list all of the gifts there are but in effect is saying use your gift and use it well. If your gift is prophesying, speaking God’s word, do this in accordance with your faith. If it’s serving then by all means serve well today. If it’s teaching give yourself to teaching. If it’s encouraging then make sure you go about giving others encouragement. If it’s giving be a generous giver. If it’s leading lead with purpose and intentionality. And if your gift is showing mercy, then show mercy with joy and gladness. We can live well today for God. We can live faithfully, using our gifts to serve others and to worship our Great and Wonderful God whom we know and see most clearly in Jesus. Let’s see what God will do this day. It’s another day, another adventure in faith.